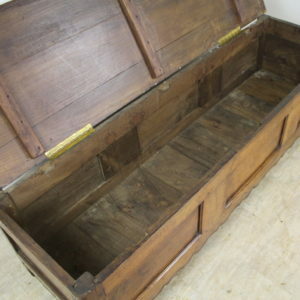 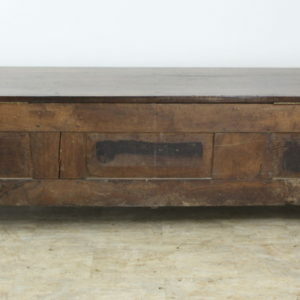 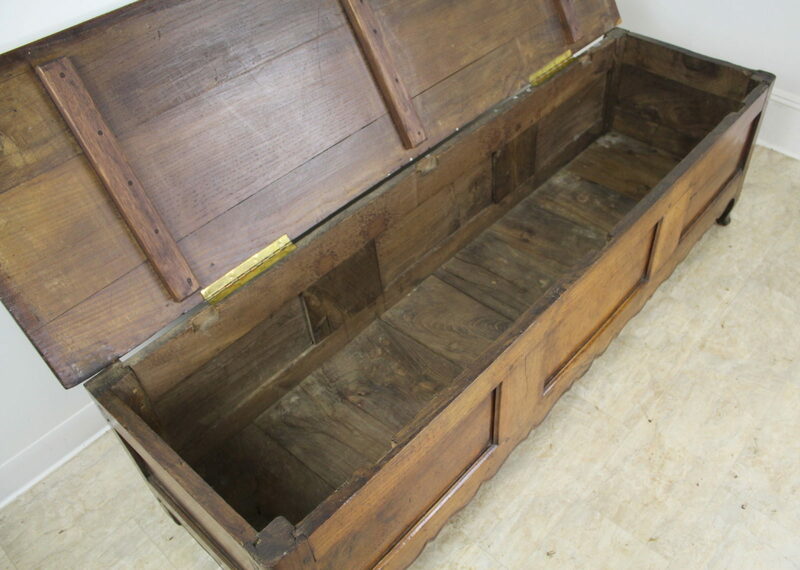 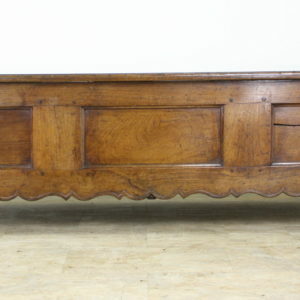 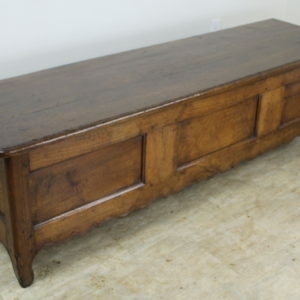 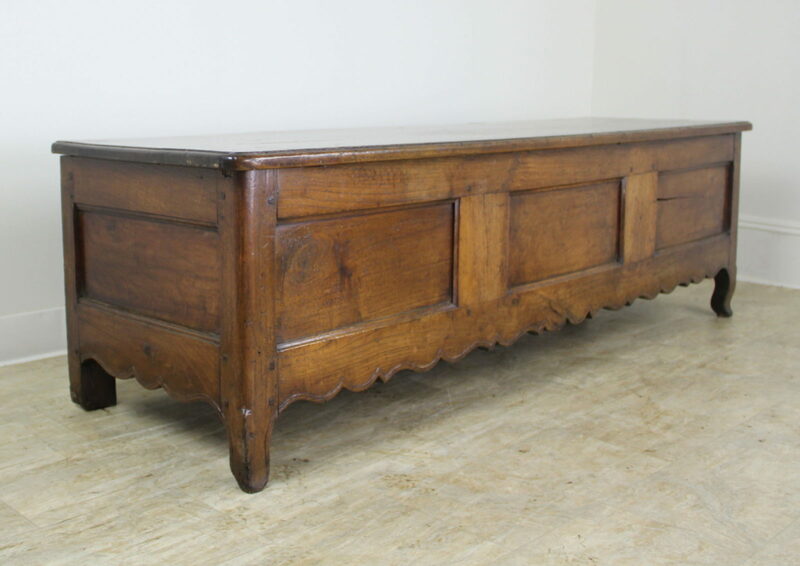 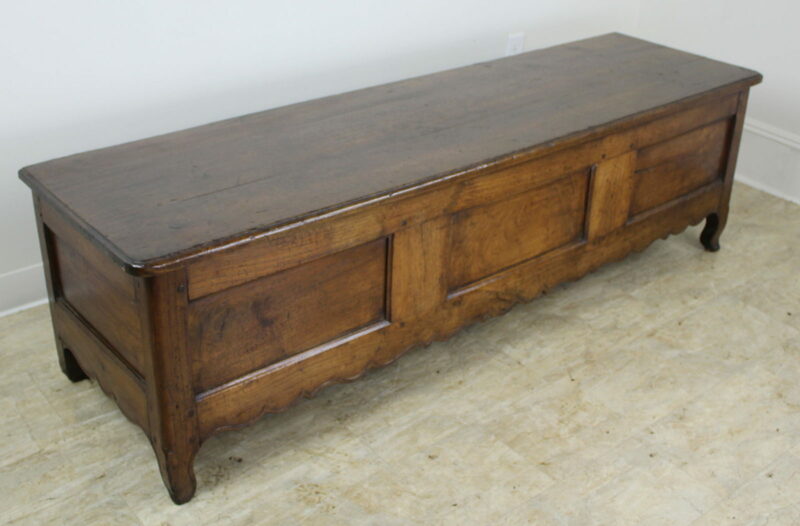 A pretty chestnut coffer or bench with a hinged top and plenty of storage within. 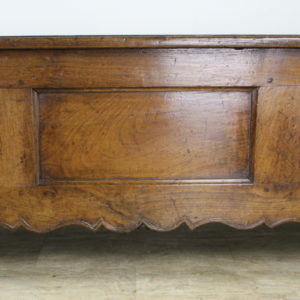 Charming carved apron and good color and patina. 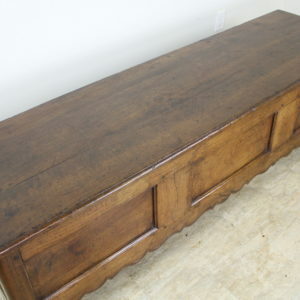 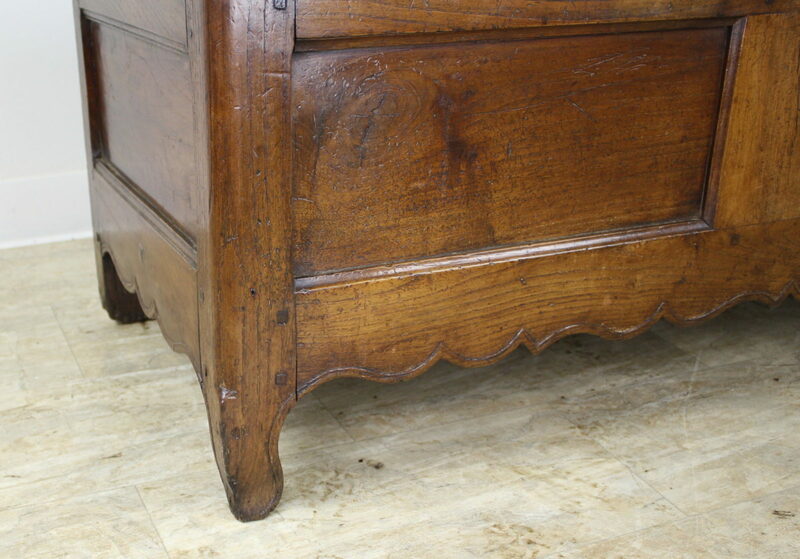 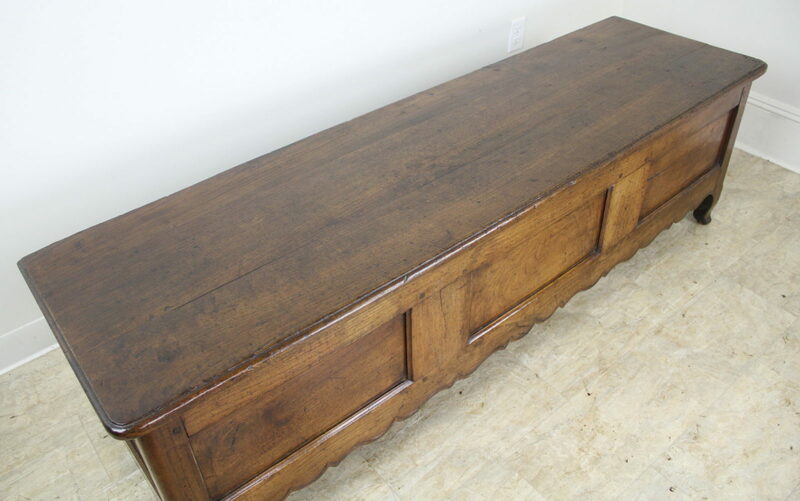 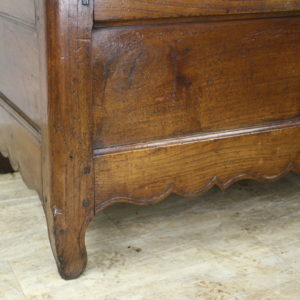 This piece would be right in the end of a bed, in the entrance hall, or well-appointed mudroom.